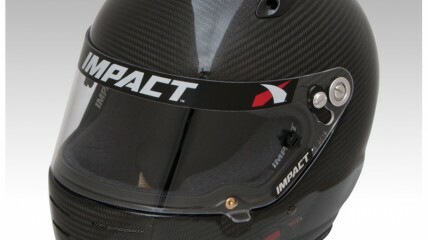 Impact Racing’s 100% Carbon Fiber Supersport is the newest model in the evolution of the Supersport helmet line. Impact added extra ventilation vents at three points along the crown of the helmet that can be individually opened and closed via toggle switch. This ventilation system keeps your head cool during races and helps to keep your shield clear and fog-free. The Carbon Fiber SS is an example of Impact’s constant research, testing and refinement of their products to meet racers’ needs. The Carbon Fiber Supersport is yet another step up for the helmet that works for both auto and motorcycle racers in all series. 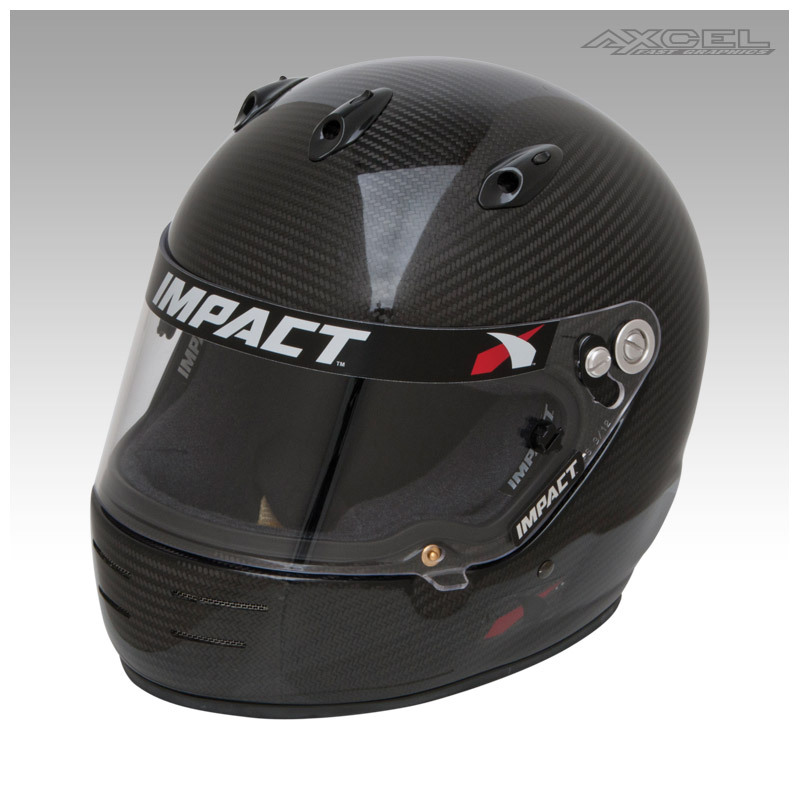 Constructed from ultra lightweight exotic carbon fiber, these helmets include Impact’s fire-retardant, variable-density, single-piece Gray Matter helmet liner, their wide eyeport with a three-position detent 1/8 in. polycarbonate shield, interchangeable sizing cheekpads and a fire-retardant Kevlar® chinstrap with dual D-Ring closure.